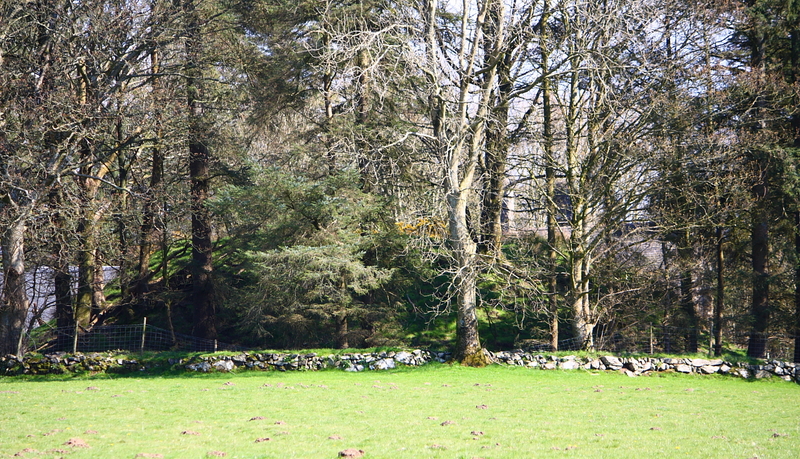 The castle mound, 36m in diameter and some 6m high, can clearly be seen from the road despite the trees; its flat top preserves a hint of vanished buildings of stone. 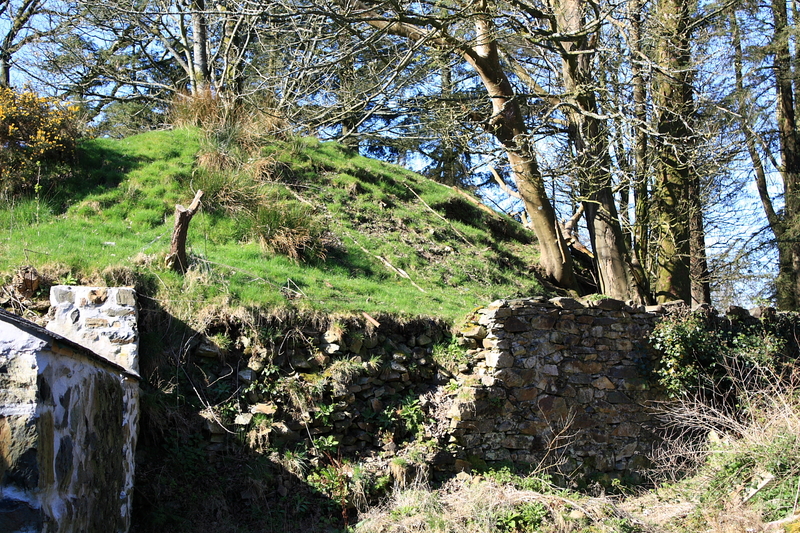 A substantial ditch survives on the west, but on the other sides the base has been damaged by later walls. 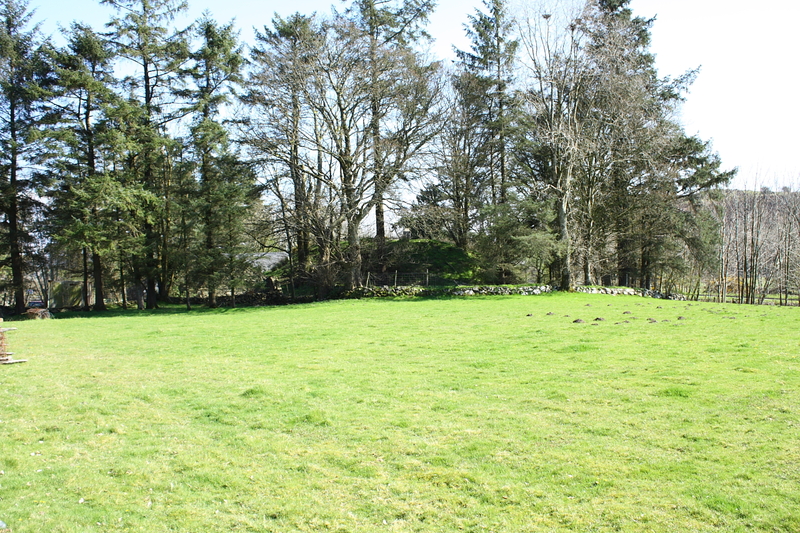 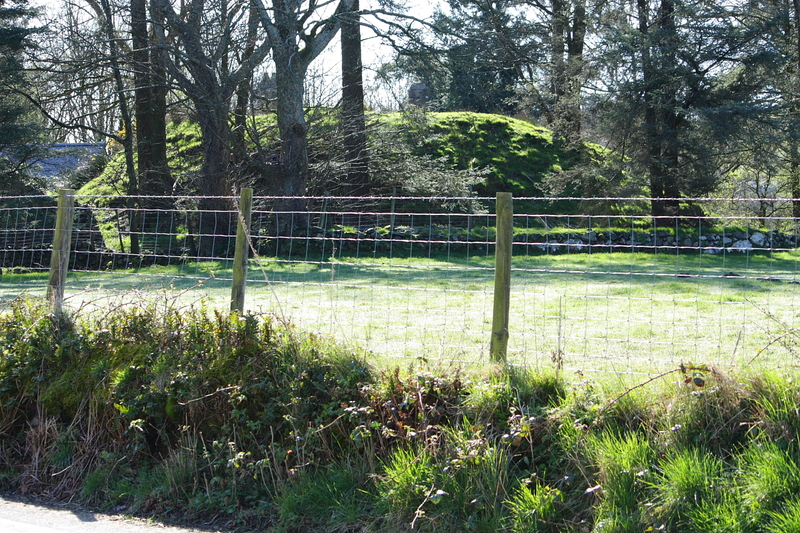 Had there been a bailey, it has been lost under later farm buildings and the 16th-18th-century house, Plas Dolbenmaen. 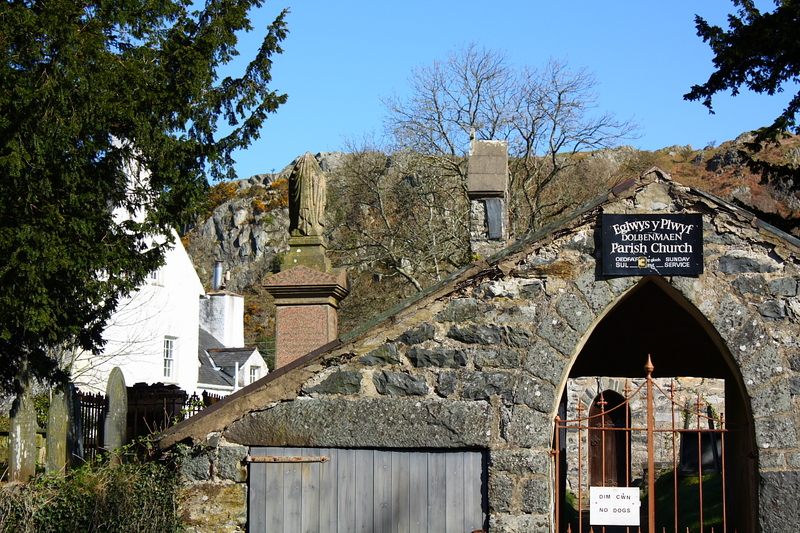 The mound is on private land, and visitors can not climb on it, but it is worth visiting because the grouping of church, castle and manor house is both attractive and unusual for Wales, where such nucleated villages are rare. 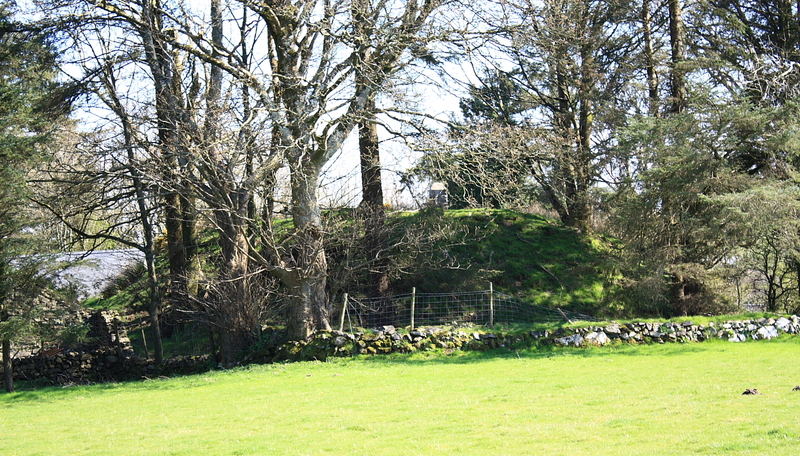 The history of the motte, built at a fordable crossing of the river Dwyfor, is not well documented. 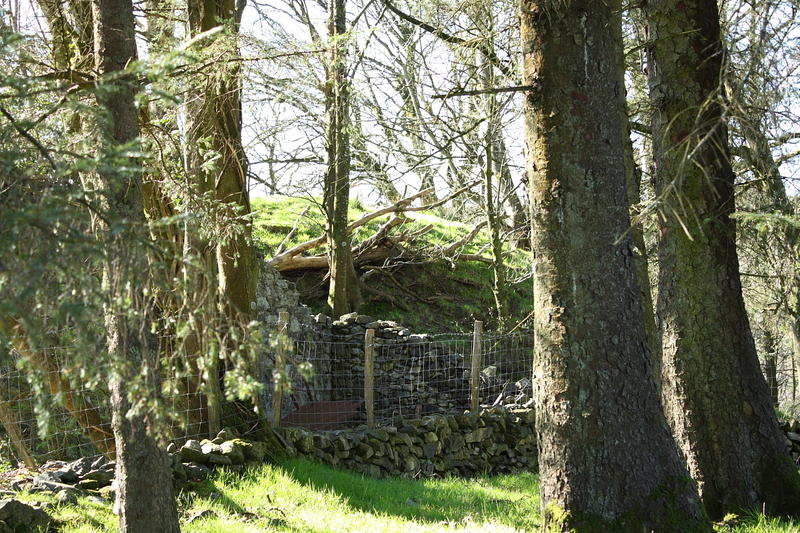 It could be a Norman base or the product of the revival of Welsh power in the early 12th century. 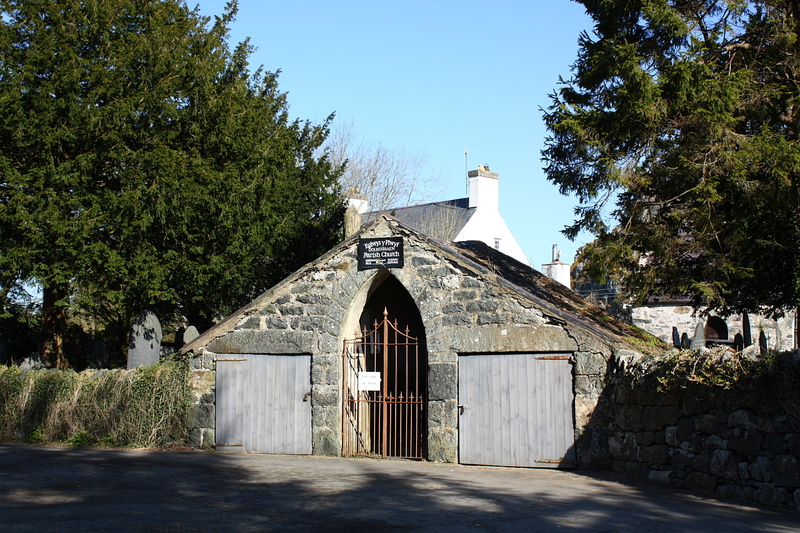 It later formed the administrative center maerdref of the commote of Eifionydd and a royal seat until about 1230, when Llywelyn the Great moved the court to Criccieth. 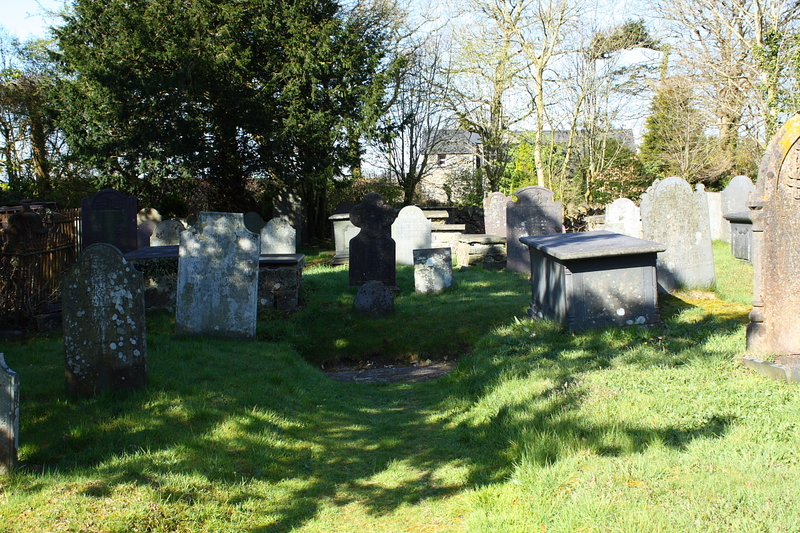 A village of bondmen would have been attached to the court to work the lord's fields, hence the tight cluster of houses around it to this day. 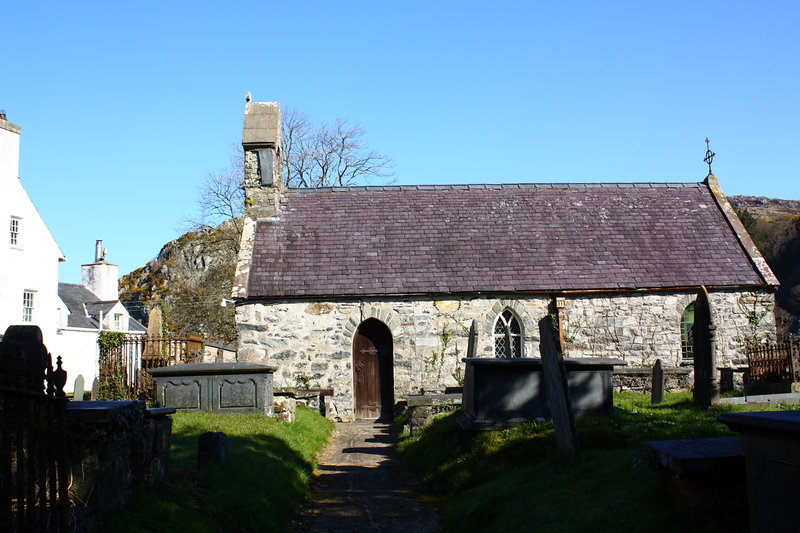 A Guide to Ancient and Historical Wales: Gwynedd, Frances Lynch, HMSO Publications, London, 1995.